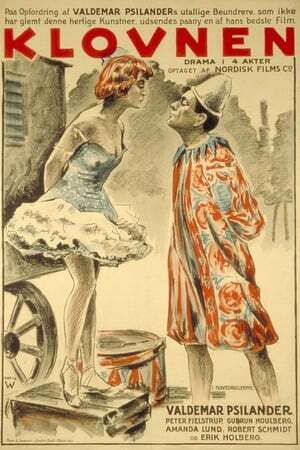 In this love story, set in Paris, the successful circus clown Joe falls in love with Daisy, a dancer. But unlike cinema, the clown’s lineage is ancient. Since ridiculing humanity’s foibles in Greek, Roman, and medieval literature, the clown has diversified into several distinct stock characters whose origins have been subsumed over time. From Pagliacci to Chaplin’s Little Tramp, from Bozo to Crusty, the clown in all its variety continually pops up in our literature, on our stages, and in our moving images. The white-faced version was first introduced as Pedrolino, in the Italian commedia dell’arte, and popularized in France in the 16th and 17th centuries as Pierrot. At Paris’s Théâtre des Funambules, an innovative Bohemian émigré with the naturalized name of Jean-Gaspard Deburau dressed in baggy white clothes and silently, sometimes violently, mooned over Columbine, introducing mid-19th century Europe to the lovesick clown. The absinthe-soaked poets of the Romantic period like Verlaine transformed him from pathetic to demented in a few stanzas. Russian playwright Leonid Andreyev set the 20th century bar to the grotesque with 1919’s He Who Gets Slapped, about the slighted clown out for revenge. Victor Sjöström and Tod Browning via their changeling Lon Chaney brought the new, mad clown to an international audience. Shot in Denmark and France, the film is beautifully photographed by Chresten Jørgensen, with imagery ranging from naturalistic landscapes in the countryside to stunning modernist sets on the Paris stage. But The Golden Clown might owe its visual flair more to its director, a former press photographer who started at Nordisk as a cameraman in 1914. Anders Wilhelm Sandberg’s career then followed the highs and lows of the Copenhagen-based studio where he worked most of his professional life. 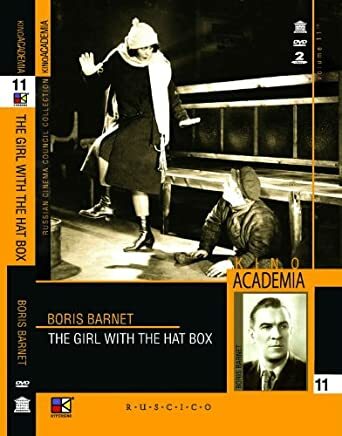 During the years from 1910 to 1916, Nordisk produced 736 fiction films and Danish movies became synonymous with the salacious—and box-office gold. Beginning with The White Slave and Asta Nielsen’s racy star turn in Afgrunden, Danish exports kept movie censors busy around the world. 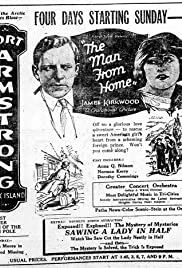 “From no other country is there sent out such a dung-heap of improper and morally damaging film as from Denmark,” one small-town editor complained in 1913. Sandberg soon became Nordisk’s leading director, having come up on comedy shorts and detective serials (five installments of The Man with Nine Fingers). His breakthrough film, 1917’s Klovnen (The Clown), starred Denmark’s renowned Valdemar Psilander, whose prodigious output totaled 83 films before he committed suicide at age 32. Released two months after Psilander’s death, the original Klovnen was an enormous hit. The studio then gave Sandberg free rein to adapt Dickens novels, which film historian Graham Petrie says were the director’s true passion. He made Our Mutual Friend (1921), David Copperfield (1922), Great Expectations (1922), and Little Dorrit (1924). Britain’s Pall Mall and Globe Gazette called Our Mutual Friend “worthy representation of one of our best classics,” but the cost of these faithful screen versions became too much for the now ailing studio. A world economy, crippled in the aftermath of war, coupled with disappointing receipts ended Sandberg’s run of lavish adaptations. In an attempt to resuscitate Nordisk’s former vitality, the studio reverted to the tried and true. Remakes now filled Sandberg’s schedule, including Klovnen, this time with Swedish import Gösta Ekman in the lead role, Danish diva Karina Bell as his sweetheart, and, playing her father, Maurice de Féraudy, who had made his name in Comédie-Française, cast, no doubt, with an eye to the French market. The film itself is steeped in nostalgia, eulogizing in sweet, reverent tones the tranquil days of touring the French countryside in a horse-drawn wagon. Success and city life tear all that asunder, of course, and the parallel to Sandberg’s own rise and fall must have added some personal poignancy to what turned out to be the director’s last Nordisk film. (SILENT)Jazz age youngster Smoke Thatcher “borrows” a neighbor’s car to take Patsy, his sweetheart, to a dance after his father refuses to lend him his car. A car-fight with a rival results in the borrowed automobile’s being so wrecked that Smoke cannot return it. The garage to which he and Patsy take the car for repair turns out to be actually a gang’s hideaway and a place where stolen cars are brought and later fenced. The gangsters compel Smoke, accompanied by Patsy, to drive a getaway car, promising enough money to replace the neighbor’s car. The gang robs the bank where Smoke’s father is employed, and they shoot Thatcher in making their getaway. Forced to leave his father wounded in the street, Smoke makes a wild drive through the city, ending up at the police station. He is rewarded for “capturing” the crooks. A man sells his wife and child to a sailor, remarries on becoming mayor, and learns his daughter is actually the sailor’s. This is a rough transfer of all that survives of the 1921 adaptation of The Mayor of Casterbridge, taken from a 9.5mm print in my collection. “The Tale of Ensign Steel”. The history of Finland, that European land of a thousand lakes, was always related to Sweden for of which it was part until 1809, and the Russian Empire of which Finland was made an autonomous state, the Grand Duchy of Finland, since that year. “Fänrig Ståls sägner”, directed by Herr John W. Brunius in the silent year of 1926, depicts precisely the transitional period of uncertainty that happened in the history of that European country during the Finnish war of 1808-1809. Events according to Herr Johan Ludwig Runeberg (who was a very important Finnish poet) are precisely used as the film describes in a romantic way Herr Runeberg’s poem; many inter-titles in the film are quotes. In spite of being an important Swedish film budget production, the film’s many actors were Finnish and much of the film was filmed in Finland. This created an excellent paradigm of the duality that Finland suffered in those times trying to maintain its independence and culture from the Swedish (and Russians) with a stubborn Finnish determination to defend their genuine idiosyncrasy. Depicted in the film are many scenes in the form of a romantic and nationalist exaltation of the land as well as scenes of many heroic deeds. The Swedish policy of war and its internal contradictions together with the Russian strong determination to annex Finland is depicted in the film sometimes in a confusing way. That’s due to the many characters involved in the film and the many historical facts that Herr Runeberg is trying to depict in two long hours. The film story is remembered in flashback by an old lieutenant who participated in the war as recounted to a young teacher. Besides the war epic, the film also includes a love story among two youngsters who are involved in the turmoil of the war incidents. This makes the film kind of “collage” that many times lacks rhythm and film continuity; as the Teutonic saying goes, it’s a situation of “Jack of all trades and master of none”… In spite of the lack of intensity in developing the historical events depicted in the film, the picture has vigorous battle scenes where a lot of extras were needed. They’re not elaborated or complicated ones, certainly ( more camera movements would have improved the action needed in order to transmit the clamour of war ). However, there are moments in which the war epic achieves moments of tragic lyricism and beauty. “Fänrig Ståls sägner” is probably too ambitious film in its various and erratic artistic film purposes and failed especially in telling the historical process of the events that the picture tries to describe. However, at the same time it is successful in the film’s aesthetic and patriotic artistic purposes by depicting an important transitional period in the Finland history. Catholic propaganda film produced and written by the Irish lay-priest Thomas Gavan Duffy together with Bruce Gordon as a fund raiser for the Paris Foreign Mission Society in Pondicherry. Although there was a village called Kil-Arni nearby, the film was shot in March and April l923 in the village of Sattiamangalam inhabited by Catholic Untouchables to avoid problems of caste and religious dissent. The plot tells of a reprobate called Ram who is converted to Catholicism by the exemplary conduct of the local priest (Duffy himself) during an epidemic. The main interest of the film resides in its location footage showing the landscapes and farming practices in the district. The non-professional cast was recruited locally. 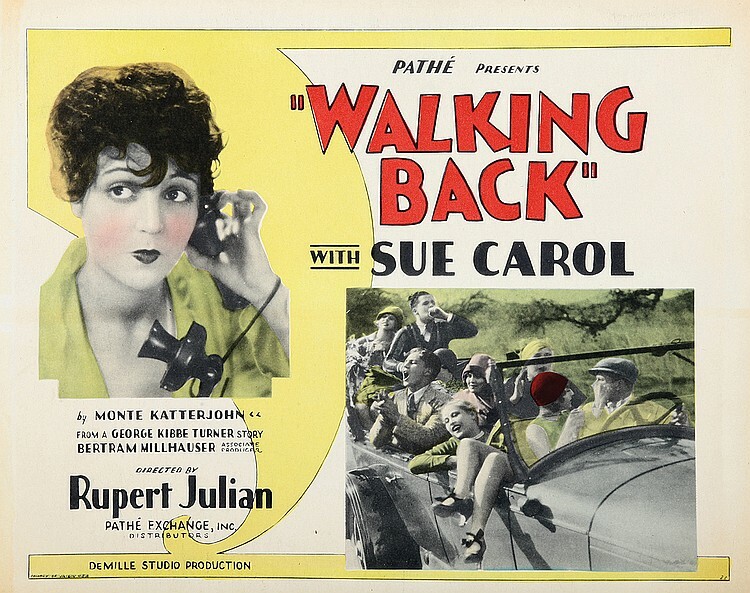 The film was processed in Boston where it was premiered on 25 October 1923. Suresh Chabria writes: ‘This Catholic propaganda film produced and written by the Irish missionary T. Gavan Duffy was made at the suggestion of Mgr. McGlinchey of Boston. Duffy had accompanied McGlinchey on a tour of Ceylon and India in December 1922 and January 1923. 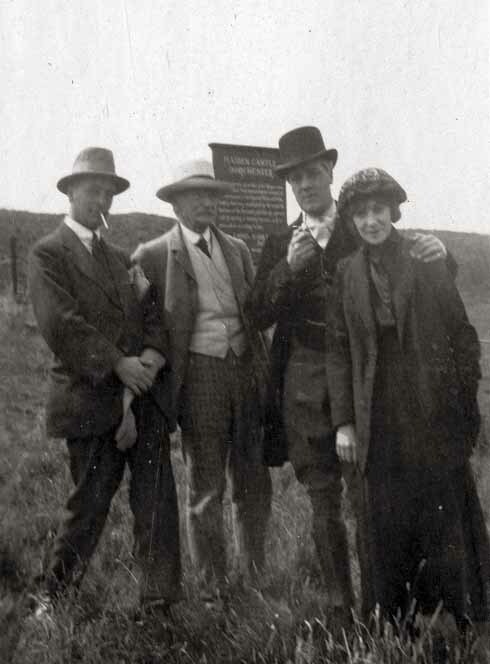 To supplement their resources for missionary work McGlinchey proposed the making of a film which could be used for raising funds among the faithful in the US and Ireland. Duffy states, ‘All over India Mgr. McGlinchey kept looking for an enterprising missioner who would venture into movie land but found nobody willing and able to accept. Finally I made up my mind to throw aside my regular work for a few weeks and to become the movie-star of the Far East!’ His adventures and experiences during the production of the film in March and April 1923 make for amusing reading. For ‘professional’ help he turned to Raghupati Surya Prakash, the pioneer director and cinematographer from Madras. However, he seems to have valued the assistance of a Catholic layman, Bruce Gordon, more. The plot is about the conversion of a one-time thief called Ram. During an epidemic he is inspired by a missionary–played by Duðy himself–to become a model Christian and a catechist. Although the film was shot in the village of Sattiamangalam, the name of a nearby village, Kil-Arni, was used because it sounded Irish. Sattiamangalam was also chosen because the village already had a population of Catholic converts who were untouchables, thus avoiding the problem of caste taboos which could have hampered the making of the film elsewhere. The film produced the desired results abroad and some highly exaggerated reviews. It was screened in India but was criticised for showing Indians in a negative light. With its open contempt for India’s ‘pagan’ culture, the film does have several offensive portions, and today its main interest perhaps lies in the documentary style footage of agricultural practices in the district of Velantangal’, From Suresh Chabria ed. Light of Asia: Indian Silent Cinema 1912-1934, New Delhi: Niyogi Books/Pune: National Film Archive of India, 2013, pg 47. Raghupati Surya Prakash (1901-56) Full name: Raghupati Surya Prakasha Rao. South Indian pioneer director and cinematographer. Worked in Tamil and Telugu. Born in Madras, son of Raghupathi Venkaiah, a wealthy Andhra businessman and photographer who started film exhibition in South India around 1910 and built the first cinema in Madras (1914). Educated by Christian missionaries in Vepery. Sent overseas to learn film-making, he went to London and joined Barkers Motion Photography in Ealing (1918), then went to Germany (where he saw Murnau at work) and to Hollywood. He travelled to various European countries, bringing a 35mm camera home to Madras (1920). The faulty camera ruined his first feature, Meenakshi Kalyanam. Set up Star of the East Studio, known as the Glass Studio, in Purasawalkam, Madras (1921), owned by his father R. Venkaiah, where he made Bhishma Pratigya. A. Narayanan, C. Pullaiah and other pioneers worked with him there. The films were distributed throughout the subcontinent with intertitles in various languages. Probably directed the Catholic propaganda film, The Catechist of Kil-Arni, produced and written by the Irish priest Thomas Gavin Duffy together with Bruce Gordon as a fund-raiser for the Paris Foreign Mission Society in Pondicherry. Operated as distributor (1924-5) and founded Guarantee Pics (1926) with backing from the merchant-landlord Moti Narayana Rao, but it also went bankrupt. Helped Narayanan to set up the famous General Pics (for which he made the hit Leila the Star of Mingrelia) and Srinivasa Cinetone Studio (1928-39). Started a laboratory (1930). Separated from Narayanan in the mid-30s and joined Sundaram Sound Studio. Worked with Govardhan Film Distributors, owning 3 cinemas in Madras. Shot, developed and edited all his early films. Known as a brilliant technician: in Draupadi Vastrapaharanam he managed to make one actor appear in 5 places within one image, apparently without resorting to optical effects. Freelance director from mid-30s. Influenced Y.V. Rao who acted in his Gajendra Moksham. Associated mostly with mythologicals, often shot at the Gingee Fort near Madras. His Tamil reformist social, Anadhai Penn, is an early instance of nationalist propaganda just before WW2. There is contradictory evidence about some of Prakash’s early Tamil sound films, which some sources ascribe to Prakash and others to his collaborator Narayanan; e.g. Draupadi Vastrapaharanam, Krishna Arjuna, Indrasabha and Rajasekharan. We have credited them to both film-makers. Also, the Telugu film Bondam Pelli (1940), made at the Madras United Artists and officially credited to H.M. Reddy, is at times credited to Prakash.